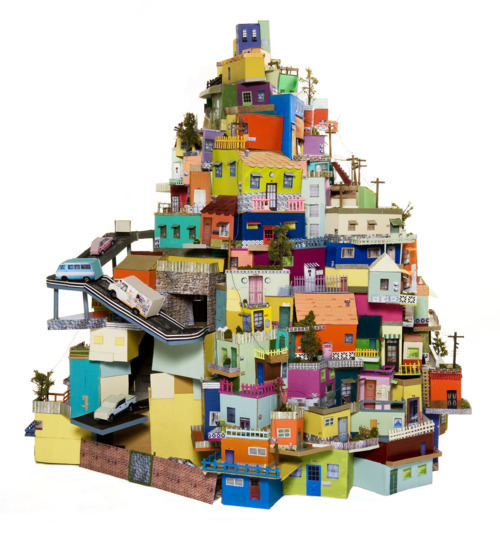 Artist Ana Serrano created a Los Angeles neighborhood in the heart of Houston. The only difference? This one is made completely of cardboard! The wonderful colors look so yummy!